Smoke | North Canton, OH | dreaming of the next bite. Unable to resist the temptation any longer, I recently popped into Smoke, the new burger joint in town, located directly across the street from my place of employment. Then a few days later, I went back. 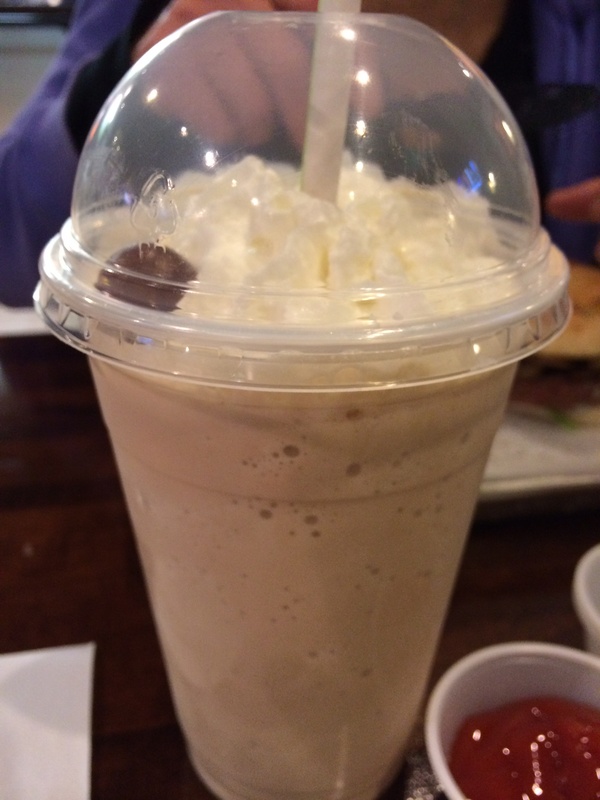 Located in the former Jojutlas location (don’t worry, Jojutlas fans, they just moved across the street), Smoke has hit the food scene boasting creative smoked burgers, seasoned fries, hot dogs, and a host of other indulgent calorie cows, like shakes made with real ice cream. (They also have salads, but who really cares.) 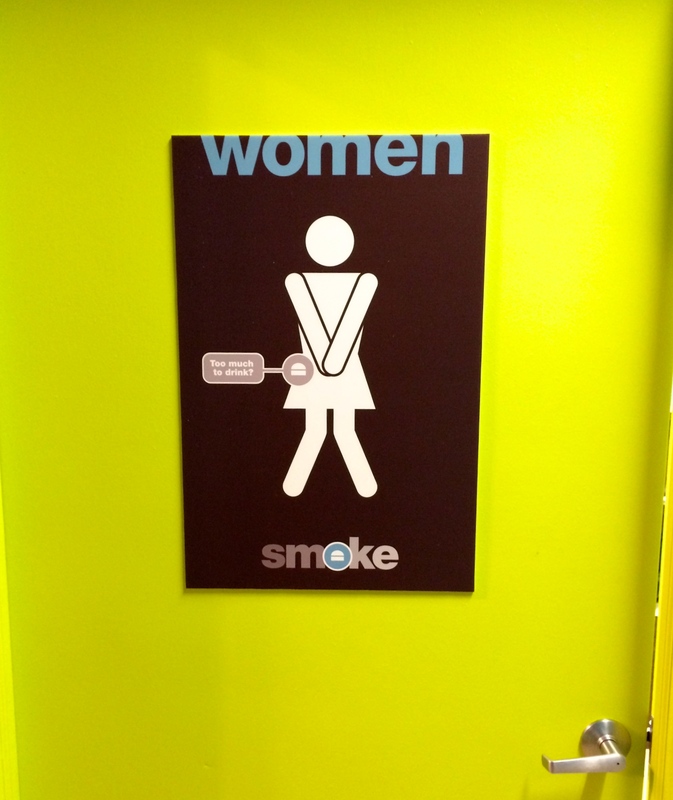 For Canton natives, Smoke is owned by the same restaurant group responsible for Old Carolina (yummy BBQ joint) and Baja Pizzafish (California themed Mex-Amer-Italian fusion place in North Canton). The menu at Smoke is simple: you can build your own (BYO Burger) or choose from one of their unique combinations. 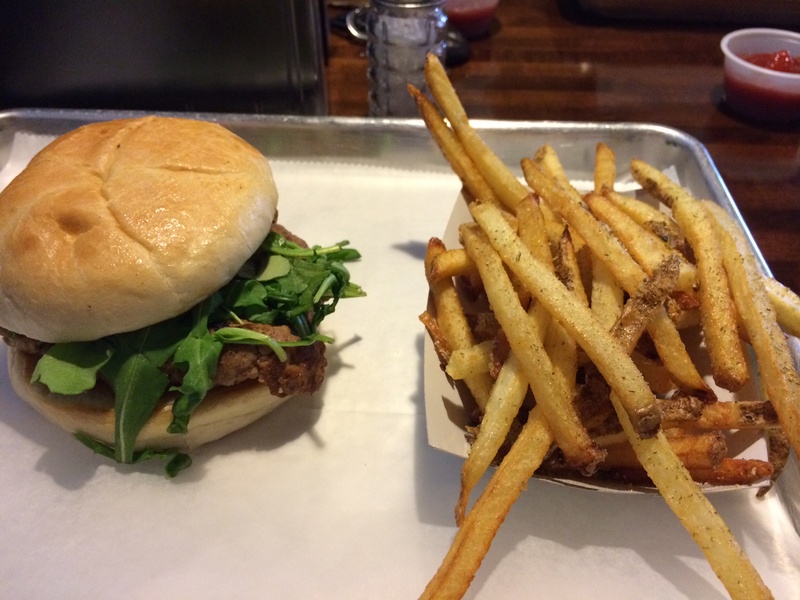 Pictured above is the Virginia Beach Red, a 1/3-pounder topped with red pepper mayo, feta cheese, and arugula. This particular burger was turkey instead of beef, which they seem willing to swap out in any of their creations if you so choose. I’ve had both beef and the turkey and both are excellent; of course the beef has more flavor, but the turkey gets the job done if you want to save yourself some calories. 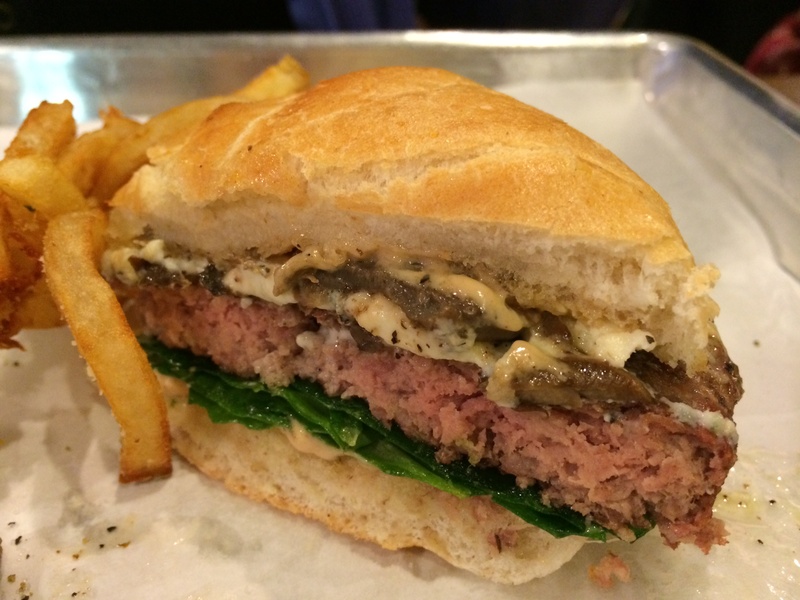 This is the KC Steakhouse: sauteed mushrooms, steakhouse mayo, spinach, and blue cheese. This one is absolutely fantastic and takes full advantage of the smoked meat flavor. Take note of the buttery bun and the fact that it’s not cooked to death – if only this wasn’t such a rarity with burgers these days. And because blue cheese is so irresistible: The Buffalo Blue Cheeseburger, with buffalo mayo, blue cheese, and shaved celery. 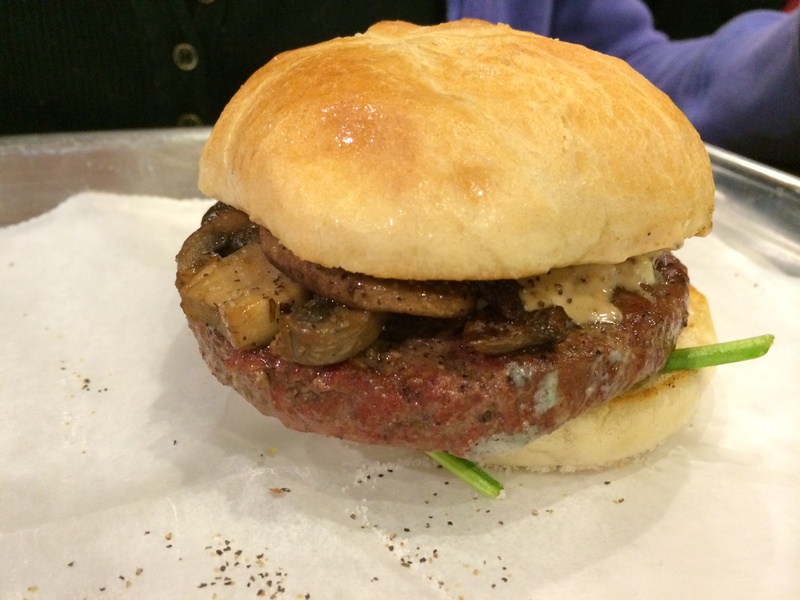 This one, while delicious, could not top the KC Steakhouse – you gotta try it if you’re craving blue cheese. Now we haven’t discussed these fries. You get to pick your poison in terms of seasonings, and the options are all pretty enticing. So far my favorite is Rosemary and sea salt, which I could munch on for days. The Parmasan herb isn’t too shabby, either. 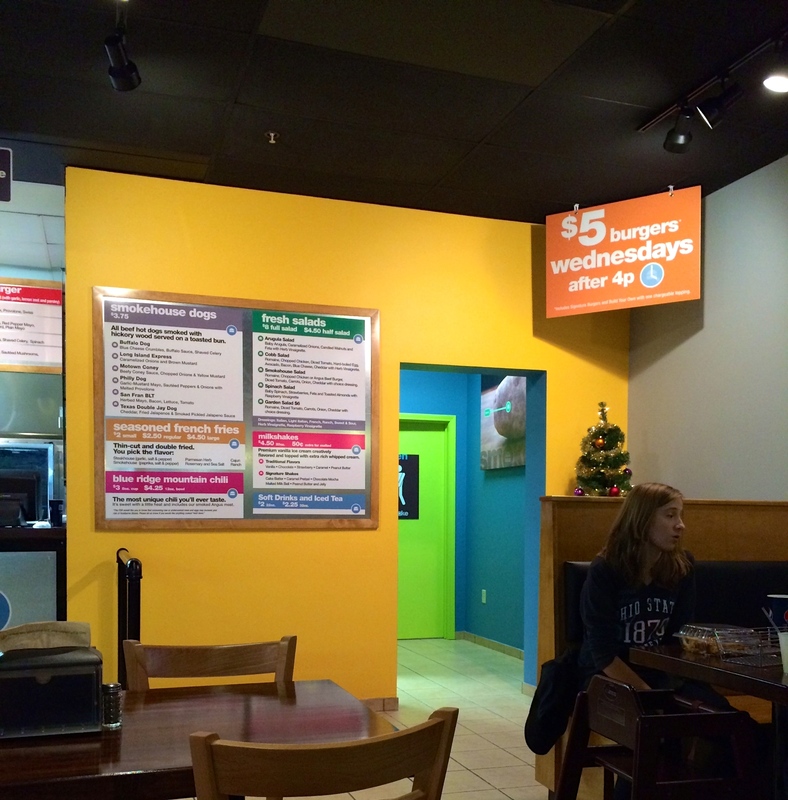 Ordering format is self-serve, but they do deliver your food to your table. Short of that, you do it all at the counter upon arrival. To the left above is the milkshake station, where they blend up a nice little variety of tasty shakes, with signature flavors like PB&J, Cake Batter, and Malted Milk Ball. If you haven’t already heard, soon Canton will be spoiled with another fantastic burger establishment, The Rail, slated to open in March at the front side of Belden Village mall. (One can only hope this is the beginning of a refacing of Belden…that poor relic is LONG overdue for an update.) This will be the third store to open since their flagship at Summit Mall. While I’m very excited to have The Rail, I do feel that there’s certainly room for both restaurants to have their own place in the bellies of Cantonians. The Rail is a destination – great food, excellent atmosphere, and most importantly, full service and full bar. 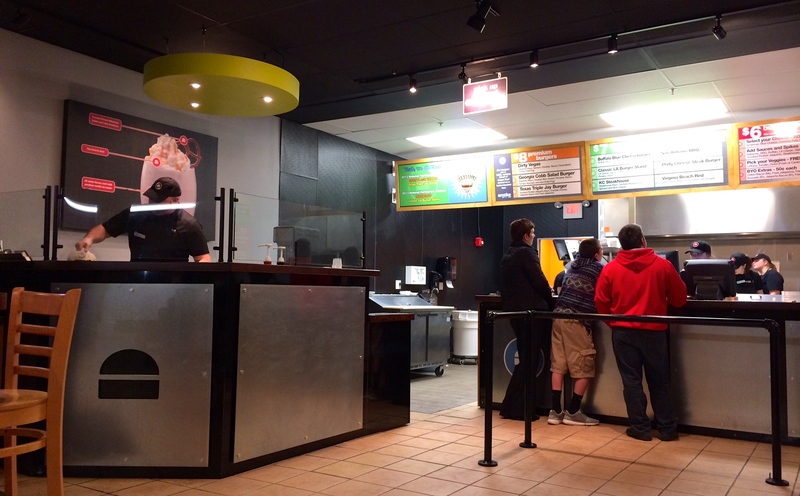 So, really quite different than Smoke, who’s definitely gone more of the fast casual route. Smoke is ideal for a grab-and-go lunch or a quick dinner. Great place for kids and teens too; they’ll love the food, Cheerwine, and the USB ports in every booth. 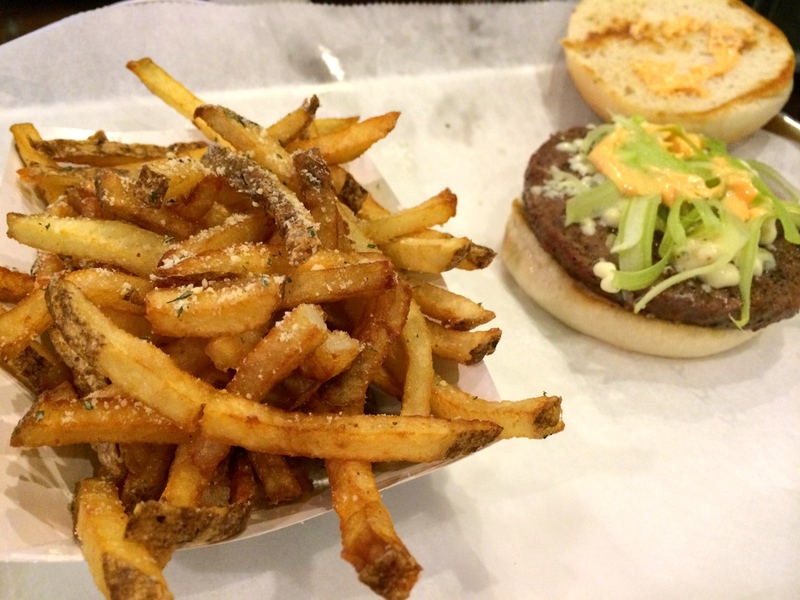 This entry was posted in Canton, OH and tagged blue cheese, burger, french fries, milkshake by Yvette (@foodiedreamer). Bookmark the permalink. Hi! I’m so glad you’re enjoying it. This is exactly why I love blogging! Stop back soon and happy eating! !